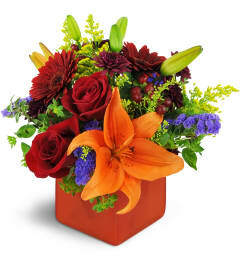 Send your heartiest hurrah with this cheerful, charming arrangement! 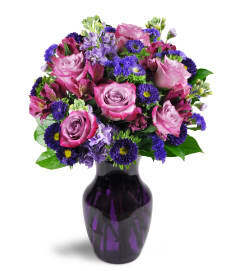 Colorful and modern, it’s a perfect celebratory gesture for any occasion! 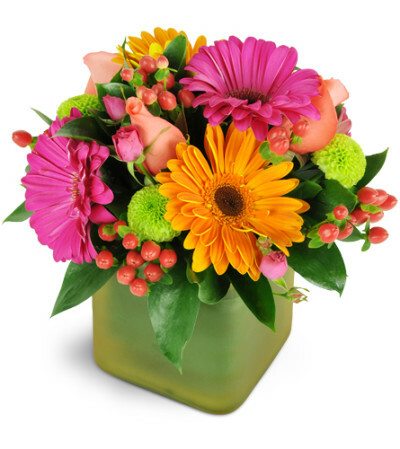 Orange and hot pink gerbera daisies are arranged with roses and more in a modern cube vase!